I found this dead Dragonfly laying on Sundews (Carnivorous plants). It’s not the plants that killed the Dragonfly because it’s too big for them, the Dragonfly just died there. The heavy dew on the Dragonfly added the final touch on this cold morning. Taken with my Pentax K50 and Tamron 90mm Macro at f/14, tripod. This entry was posted on September 27, 2015 by Steeve Marcoux. 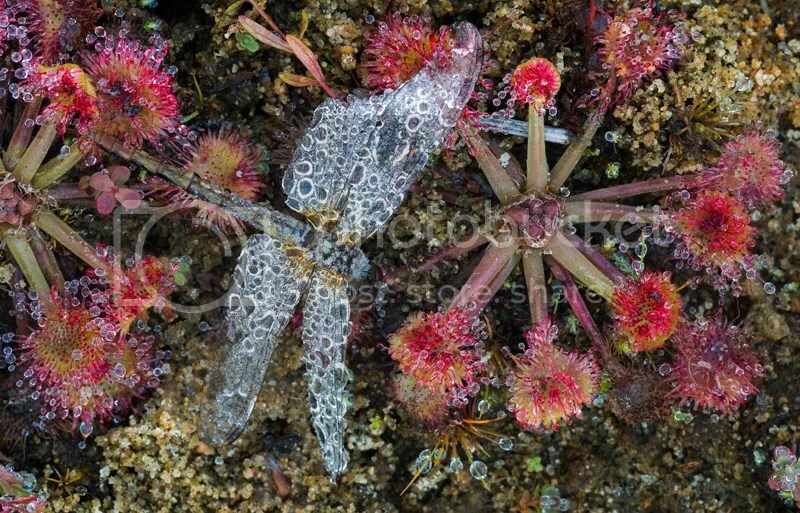 It was filed under Weekly photo and was tagged with Carnivorous plants, Dragonfly, Drosera, Sundew, the Dragonfly.